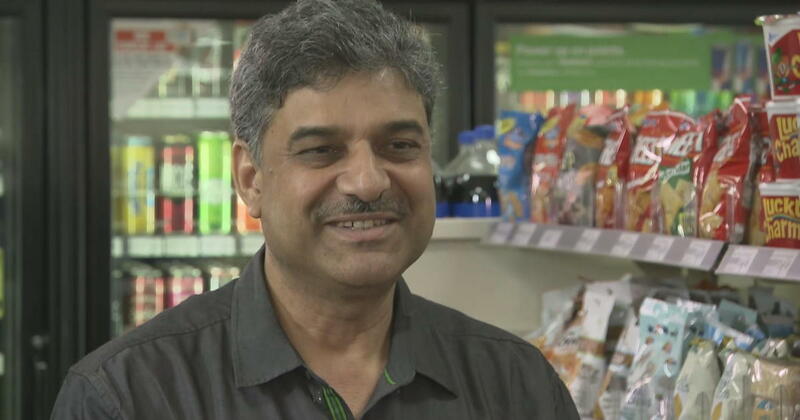 A guy named Jay Singh moved to the U.S. from India about 12 years ago, and owns a 7-Eleven in Toledo, Ohio. And last Saturday, he caught a teenager stealing from him, but decided NOT to press charges. He noticed the kid acting suspicious, then called him out on it and told an employee to call 911. The kid asked if he could just put the stuff back and leave. But Jay made him put all of it on the counter, and it was all FOOD. When he asked the kid why he was stealing, he said he was hungry. And he was trying to get food for his younger brother too. So Jay told the cops not to come. Then he filled up a whole BAG with food, and GAVE it to the kid. A customer named Cedric Bishop was there, and said the whole exchange made him pretty emotional. Then he posted about it on Facebook, and the news picked it up. Jay says he just didn’t want to ruin the kid’s life over it. And in India, it’s considered a blessing to give food to someone who’s hungry.